Gaming goals before Fire Emblem comes out: Beat Chain of Memories, Super Robot Wars T on NG+ for platinum, start+beat KH 2.5, start Sekiro, beat KH2.8(unsure on 3D since I played it on 3DS). After waiting for the stores RNG to finally spawn the other Joker spirit, the deed is done... again! I have every spirit! Oh my. Under my music, the Aria of the Soul remix is attributed to Revelations:Persona. Those Megaman changes seem to me like people were relying on leaf shield waaaaay too much, and that metal blade abuse w/ leaf shield was not how they wanted him to play. So Sakurai tweeted this out: If Jokers Final Smash is what ends the match, this is how the results screen looks. Sakurai reminding all of us today that Persona started at 3, and that 1 and 2 don't exist. THERE'S PERSONA 3 AND 4 MUSIC WITH JOKER YESSSSS. Beat Kingdom Hearts earlier today. AMA about my experience with it. Sooooo apparantly the big bad of KH1 is a stand user? Soooo are both Ursula fights supposed to be complete garbage ooorrrr? Me right now upon entering 100 acre wood and hearing the music be an instrumental version of the winnie the pooh theme. 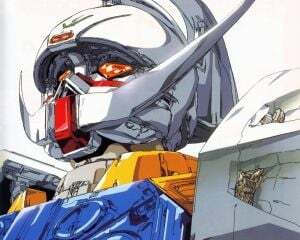 Happy 20th anniversary to Turn A Gundam! FORTY YEARS OF GUNDAM AS OF TODAY BABY. Yo wtf, Sora and Riku have parents? When you're watching a movie and enjoying it, and then someone comes in and starts complaining about said movie.